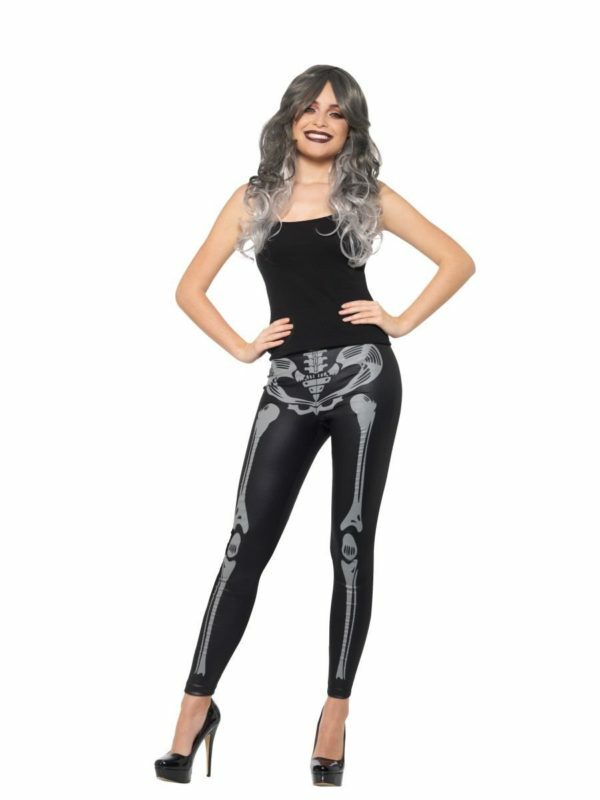 Made from a stretch polyester fabric with skeleton bones printed down the front. Fabric has a wet look to it. One size – will fit size medium up to a 36. Fantastic as a costume item or just to wear because you want to.